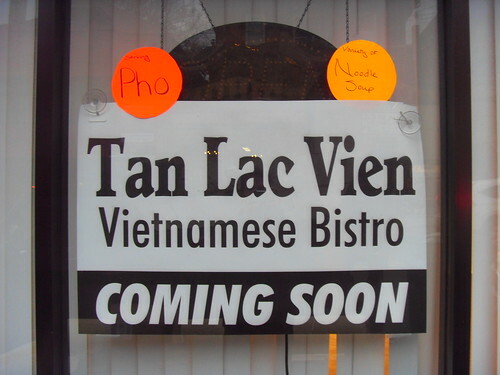 PennsylvAsia: Vietnamese bistro Tan Lac Vien opening in Squirrel Hill. 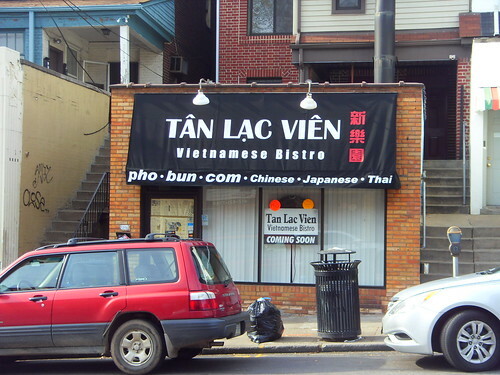 Vietnamese bistro Tan Lac Vien opening in Squirrel Hill. 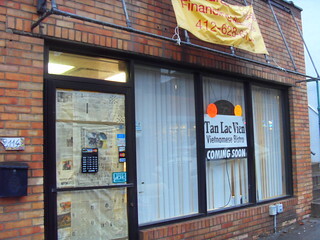 Squirrel Hill will get a Vietnamese restaurant shortly when Tan Lac Vien opens on 2114 Murray Ave. (map). On Thursday I talked with the realtor, who told me the owners also operate a Vietnamese place on Semple Street in Oakland---which would make Azn Bistro the most likely candidate---that the food is really good, and that they're fixing up the interior of what was most recently an Italian restaurant. Update 11/11/12: Awning up yesterday, and hours posted on the door. looks to be opening soon.